Goatboy here again. 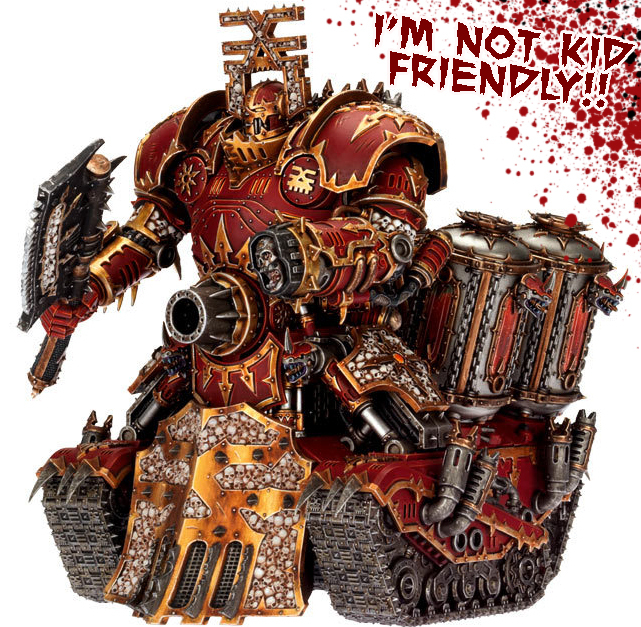 While we wait for Death Guard let’s talk about how I can use and abuse my favorite model at the moment – the Lord of Skulls. I initially painted one for a client many moons ago when it first came out. Before I was going to ship it – I wanted to get a game on the old BoLS battle report but alas a small car accident basically turned off my plans for the night. The Lord of Skulls was in the car and it proceeded to fly forward, gut 2 Daemon princes, and only lose one arm in the whole process of getting hit from behind at a stop light. This locked in my initial “love” of the model as it survived a car accident and still took two skulls for Khorne. Fast forward to the new edition coming out and my initial list for the ATC championship was a Khorne list with a ton of Zerkers, the Lord of Skulls, and some friends to abuse Warptime. I ended up not taking that list (very sad panda pants on that) but still had bought a Lord of Skulls and painted it up. I was having so much fun playtesting it I decided to bring it to the BAO. They banned Models over 31 Power Level so I was left to only bring as many of my Baby Daemon Princes as I could. Still this left me wanting. 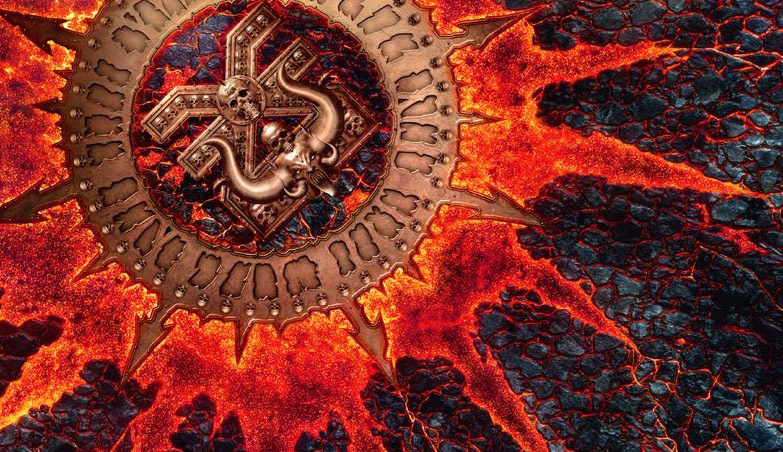 When the new Chaos Space Marine Codex came out and the Lord of Skulls got cheaper, less power level points, and stayed with the same set of powers/weapons – I got very excited indeed. 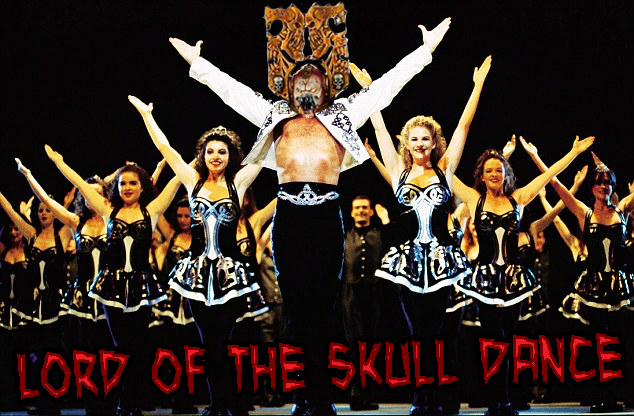 Welcome Back Lord of Skulls! Welcome to the initial thought process for trying to shove a Lord of Skulls into any conceivable Chaos List I might have any desire to play. 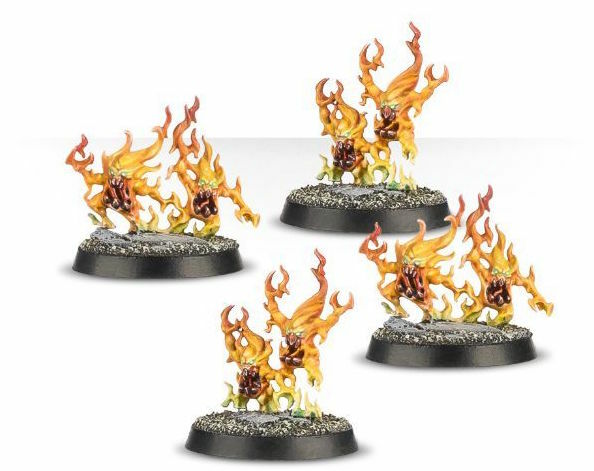 First of all – you need a Lord of Skulls and some method to “power him up” via a Sorcerer, Daemon Prince, or some other ability. 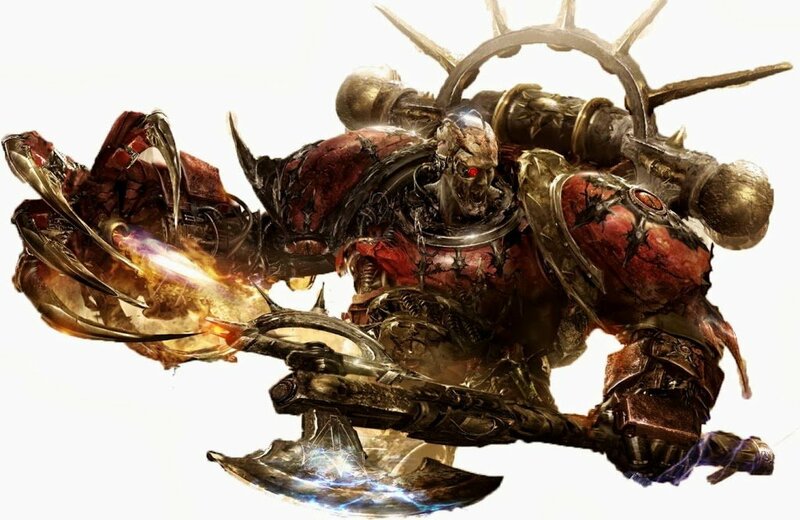 I also need to make sure I take a Chaos Space Marine Detachment to ensure I get some of those sweet Stratagems and other abilities to help my Lord of Skulls shine. 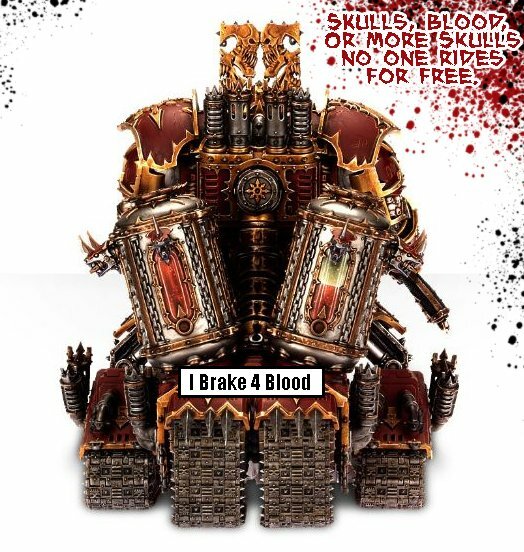 I do expect it to die most games – but if I can get a round of it popping a wheelie up the table and smashing something of my opponents goodies – then you know it has done at least something for the Blood God. It also helps if he has some support – either in back field objective holders, other units to help mop up after he has blown all his blood, or just something else to go punch the bad guys with. It is kinda frustrating there isn’t a Lord of War choice in the Battalion as it lends me to take a Supreme Command choice to get him. I don’t want 3 Lords of War (Even though I have Knights, Magnus, and more Knights) so it ends up using being this Jerk with some Malefic Lords (I suspect a point change at some time in the future). 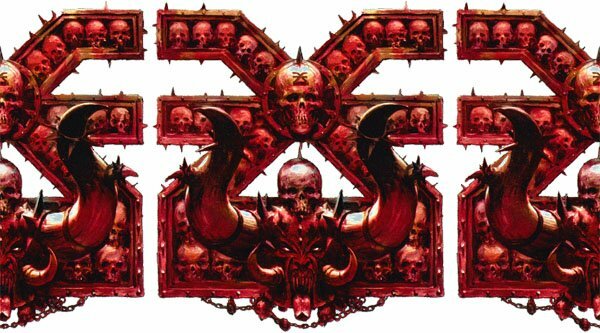 Anyway – let’s start with my initial build with the new Chaos Space Marine points. Chaos Space Marine Battalion – Alpha Legion for this one. It hits under 2000 pts, has some guys to come help the Lord of Skulls with the 3 units of Zerkers, has some bubble protection in the sacrificial Cultists, and even some Smite spam a bit with the Malefic lords. The Exalted Champ will make those Zerkers hit hard and you can even throw in some tricks with the Alpha Legion Stratagems and “hiding” a unit of blood crazed jerks. I almost want more Command points but this army doesn’t need too many if it really wants to work. It sets up, has a ton of guys in Rhinos, and then hopefully pushes forwards and does the good work of the almighty Khorne. Still – while I have this list painted (got excited about using Blood Warriors with some small conversions as Zerks) it still isn’t a complete Goatboy list. The next thought was to use either Renegades to try and keep a fat base of Cultists alive with the Fearless abilities of Huron. Plus I could mix in two shootie Knights to complete a Lord of War Detachment. Troops: Cultists X 30, Could give them a Mark – depending on what you want the Sorcerer to be as well – might be worth it to Nurgle for the -1 or the 5+ FNP from Slaanesh. This is just a big mess of Large bodies. It probably isn’t very good – but at the very least you have some Objective Secured Jerks. It might be better to do 3 units of 20 cultists to just hold the backfield but you are sitting there with 10 Command Points to use as needed and Huron can double move the Lord of Skulls once for you too if you want the Sorcerer to be set up differently. Finally we get to the list that is near and dear to me as I have a fascination with Daemon Princes. In fact they are probably my favorite model to paint with me hitting around 20+ at this point with commissions, prize support, and just sheer need to paint something for myself instead of a client. It just never ends when it comes to making a Daemon Prince or two. This leads me to what I initially was thinking about when trying to use the Lord of Skulls with a true “Goatboy” brick of doom. This is just a brick of death with massed Smites, a big “target” to throw at your opponent, and some basic tricks. The hope is the Lord of Skulls gets to move up, get close, and then just cause some issues as things try to move around and deal with it. After that it is just time for the Smites to get online and the damage to start ramping up as needed. Bel’akor getting access to all the new powers gives you enough tricks to deal with most things. It probably isn’t the most fun of lists but it is the true competitive one out of this pile of Lord of Skull Nonsense. I am looking at building a Kytan before long and putting together my Brass Scorpion. This will let me kit out the complete “Khorne Lord of War” playset. It could be something fun but without any models to throw down with I didn’t want to try and spitball a list or two. I suspect the same Renegade set up would be best or some kind of Iron Warrior thought to fit within the theme of Destruction Robots. Is it even worth it to look at with the cheaper cost point and interesting set of rules? Is there any hope for me to ever use it in something competitive or should it just be set aside as the novelty act it always was before? ~Have you thought of some mean builds with the Monster truck of the 40k universe?